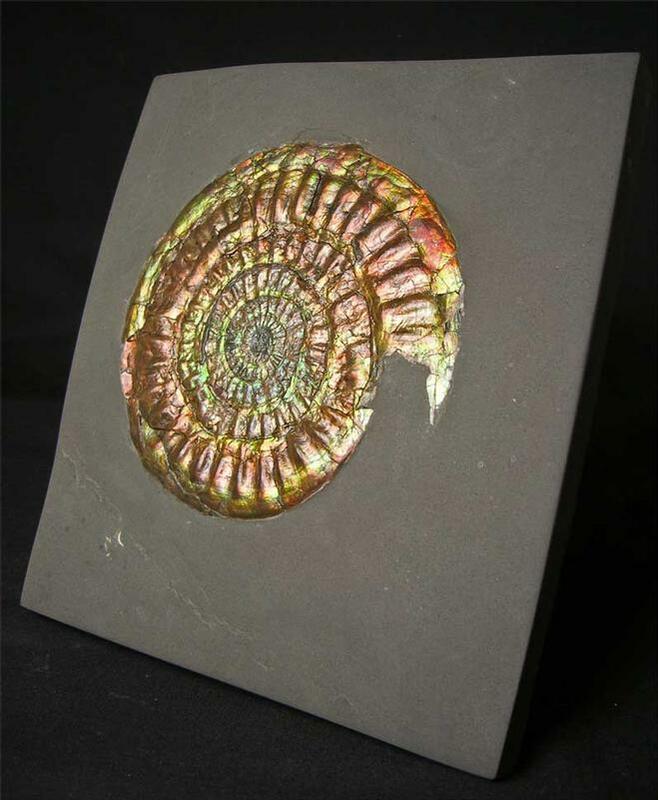 This wonderful example of a natural irridescent ammonite has virtually every colour of the rainbow. The specimen was collected over twenty years ago and has been fully prepared by Andy Cowap. The hard surrounding shale has also been prepared to a very high standard. 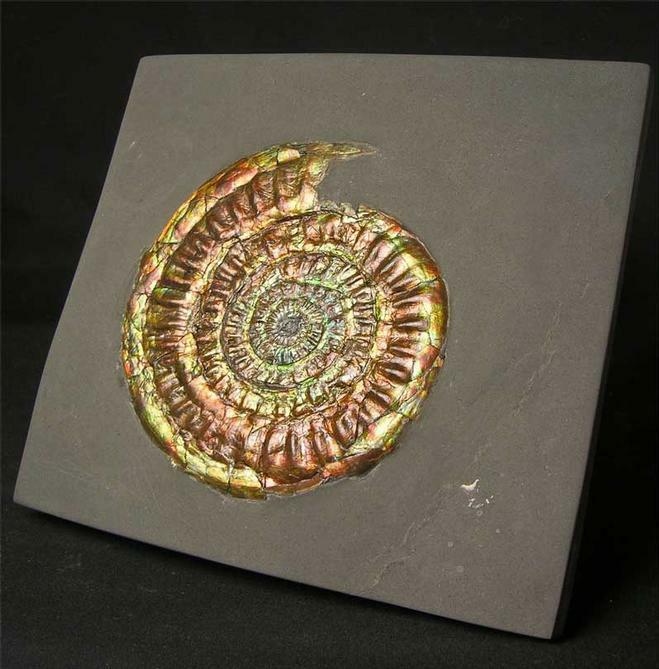 The matrix has been shaped around the ammonite to maximise the aesthetics. A marvellous display piece. Approximately 205 million years old. 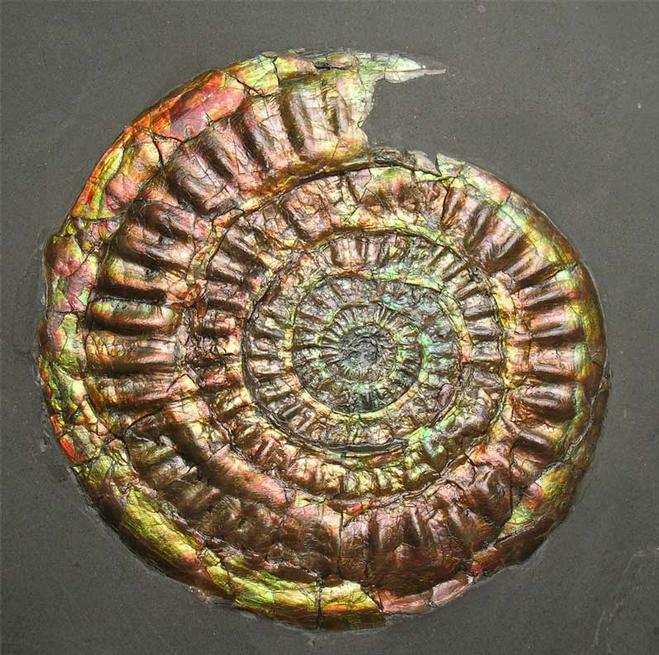 Always check with your supplier that the ammonite is not a composite ie. 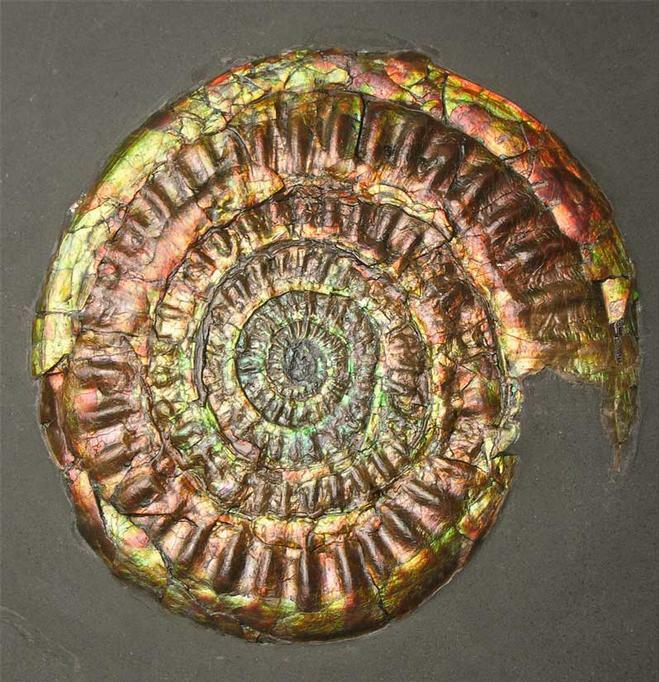 a fossil stuck in another piece of matrix or the actual fossil fabricated. We have noticed an increase in this bad practise on other web sites, the seller has a duty to tell the buyer by law.